Have you ever wished you could make ​dim sum at home? Well, now you can with these easy step-by-step instructions and helpful recipe. 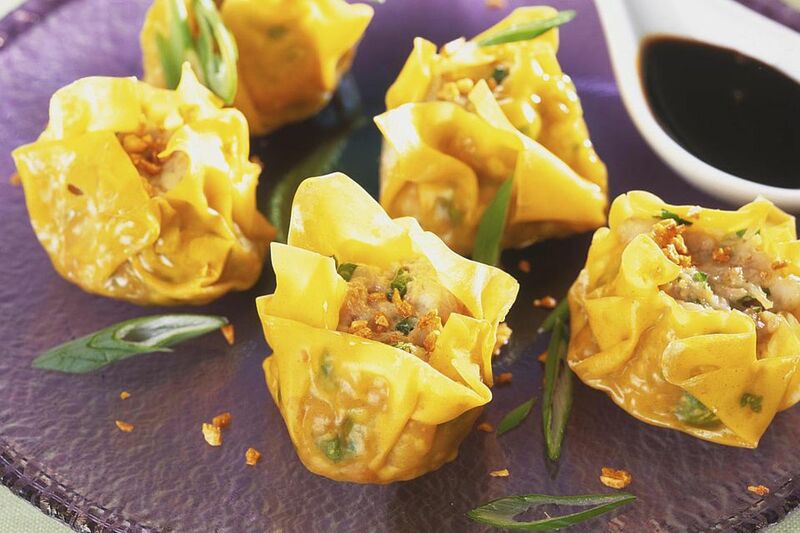 Delight your taste buds with homemade pork and prawn dumplings served with a soy and vinegar dipping sauce. The dumplings are simple to make and you can fill them with a variety of fillings such as crab, ground chicken or even scallops. The ingredients for this recipe should be readily available in your nearest Asian grocery store. Start by making the dumpling fillings. In a large bowl combine the pork, shrimp, garlic chives, soy sauce, sesame oil, Chinese red vinegar, finely sliced ginger and cornstarch together. Mix well until combined. Place one heaped teaspoon of the filling in the middle of each wrapper. Use your finger to spread a little water on the rim of the wrapper then gently fold the wrapper over to make a half-moon shape. Use your thumb and index finger to press the edges of the wrapper together. Next, seal the wrapper by using your thumb and index finger to make small pleats along the sealed edge. Press the pleats in between your thumb and index finger to ensure the dumpling is sealed tightly. Place the dumpling on a plate dusted with cornstarch. Repeat process. Bring a large saucepan of water to boil. Add six or seven dumplings to the water and stir immediately to prevent them from sticking to the bottom or together. Allow the water to return to a boil then add 1 cup of cold water to the saucepan. Allow the dumplings to come to a boil again and then add a further 1 cup of cold water. Allow the water to boil again and then remove dumplings from water using a slotted spoon. Repeat process with remaining dumplings. To make the dipping sauce simply combine the soy sauce and Chinese red vinegar with ginger slivers. Serve dumplings with dipping sauce.